These conversation-starters help learners become sensitive to the presence of the Making Moves in their own and others’ learning. They also help learners have substantive conversations about the Making Moves with their peers. Ilya Pratt, AbD Oakland Leadership Team member and Design+Make+Engage program director at Park Day School, tells a tale of maker empowerment and collective agency through the story of Kyle and the saber-toothed cat. This practice allows learners to notice features of an object that they may not have the vocabulary to fully describe yet. By doing several sketches, learners have the chance to engage in perspective taking and to see details they might miss at first glance. 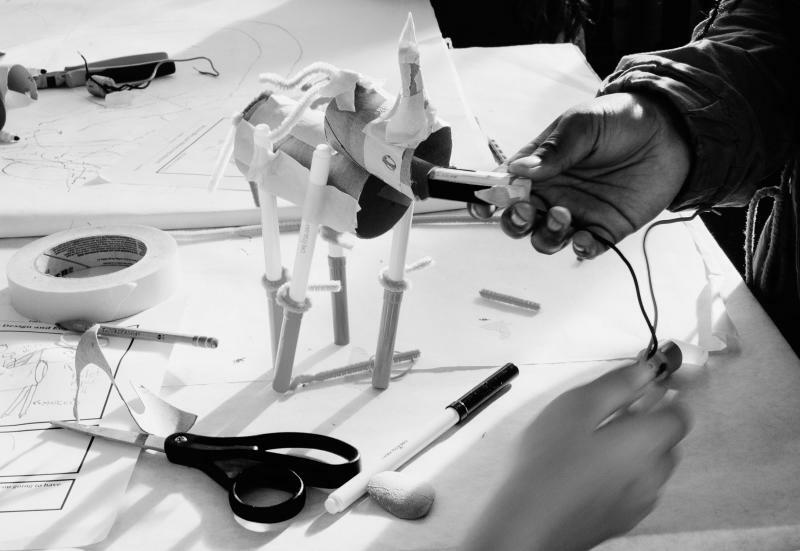 Educator Gus Goodwin shares how his students engage with the Agency by Design capacities during a design and engineering challenge, specifically highlighting the capacity Exploring Complexity. Educator Tatum Omari examines the system of educator collaborations and partnerships.